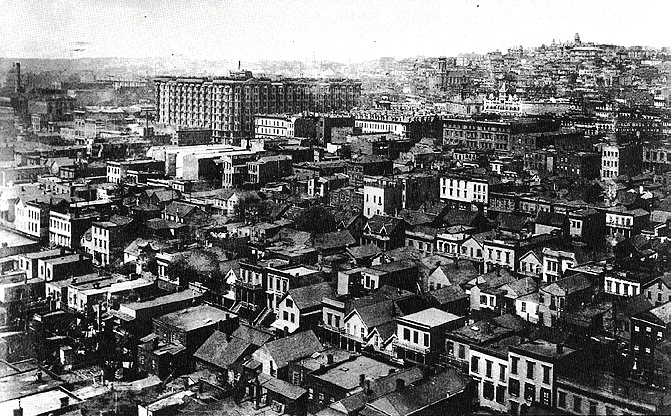 Southeast view from Nob Hill towards Palace Hotel (Selby Shot Tower at left). 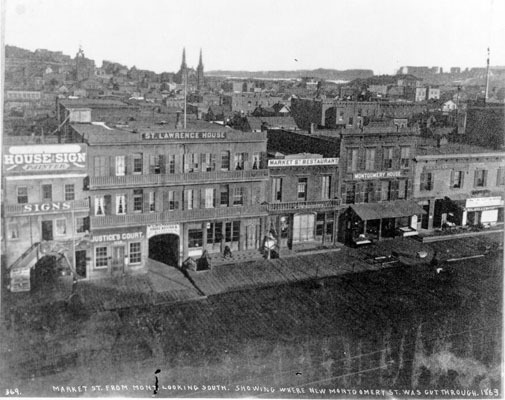 Market Street where New Montgomery was cut through after 1863. 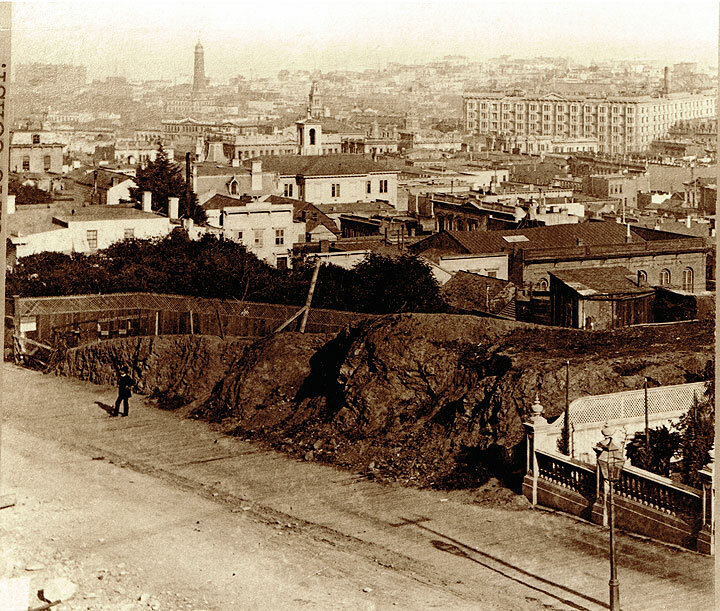 In the 1870s, bedding and furniture businesses began to locate on Mission Street around Third and New Montgomery. Rents and spaces must have been suitable for selling bulky objects. The trend lasted through most of the twentieth century. City directories listed four furniture businesses in the neighborhood in 1871, five in 1875, fifteen from 1877 to 1879, sixteen in 1882, eighteen in 1886, thirteen in 1894, and fourteen in 1901. Other establishments offered mattresses and bed springs, lamps, mirrors, gilding, and curled hair for mattresses and upholstery.